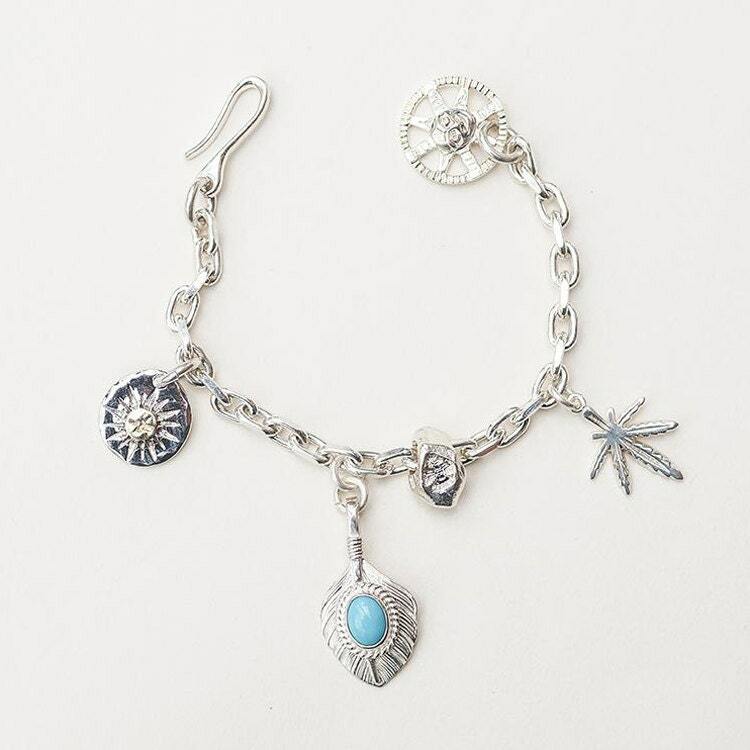 The Turquoise Charm Bracelet is inspired by Native American patterns. The 925 sterling silver bracelet features a bunch of charms arranged along a slim link-chain. 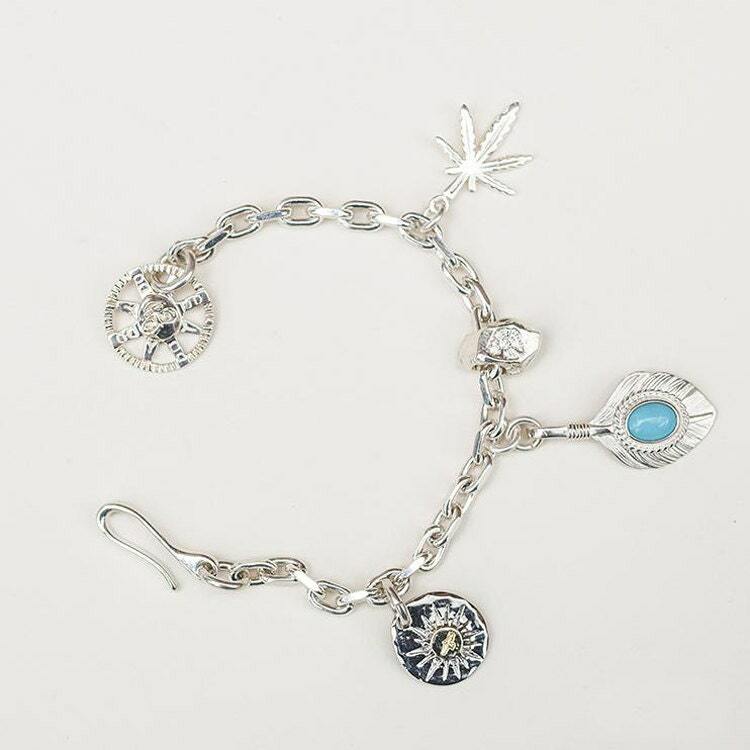 Different charms included in the bracelet are: a silver palm leaf, a gold-plated flying bird pendant charm, and a sun-face loop that also acts as the closure for the bracelet. 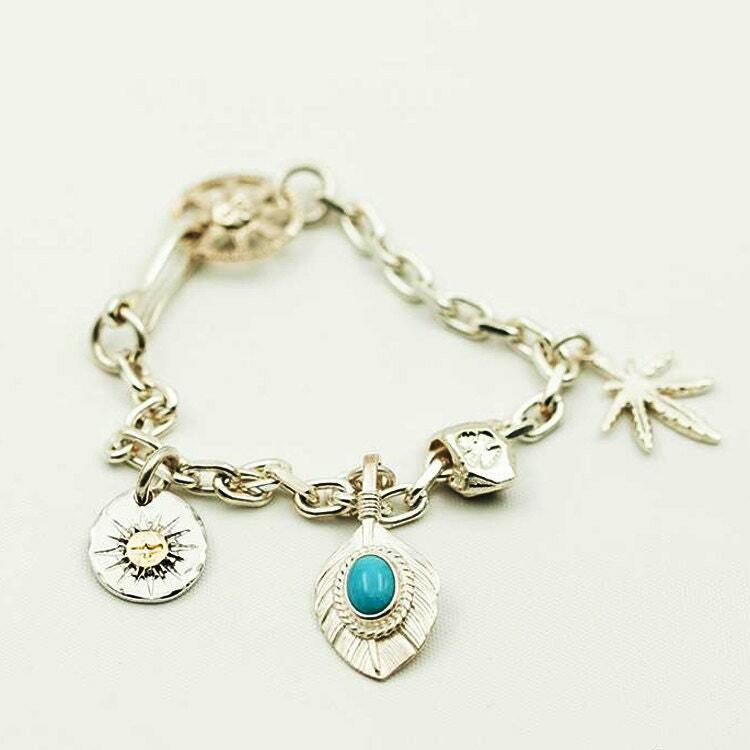 The highlight of the bracelet is the small silver feather charm, embedded with a turquoise gemstone. The chunky, substantial charms contrast beautifully with the slender silver chain, creating a balanced look. 925 sterling silver, gold-plated Flying Bird Pendant. Wrist Circumference: S: fits 16cm/6.3inch, M: fits 17cm/6.7inch, L: fits 18cm/7.1inch. Other sizes available upon request. We handcraft each and every piece of jewelry - one at a time in our studio in NYC. Since everything is GUARANTEED handmade, it is all unique and original. It may take upto 2-3 weeks to process your order - please understand that a human will make the piece using their hands, and they also need time to rest, sleep and eat!